Welcome, St. Aloysius Academy graduates and friends! All graduates of St. Aloysius Academy become lifelong members of our Alumni Association. You are now an important part of our legacy and we hope that you stay involved with St. Aloysius Academy long after you leave. 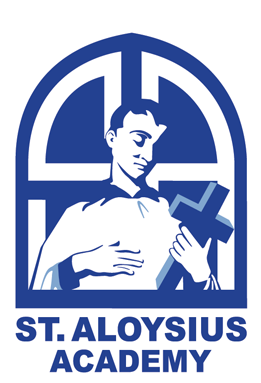 We encourage all alumni to stay connected to St. Aloysius Academy. It is important to us that you know what’s happening and become an active participant in our many alumni events. Follow us on social media, sign up for our newsletter and send us your updates! Please send us any updates so we can stay in touch! The alumni newsletter, The Wootton, shares the latest information about St. Aloysius Academy and the latest updates from alumni. You can download past issues below. St. Aloysius Academy alumni go to many prestigious high schools, universities, masters and PhD programs. The skills they learn at St. Aloysius Academy are used throughout their lives to help them achieve and lead, wherever they go. Luckily, my ties to St. Aloysius Academy did not stop after 8th grade. 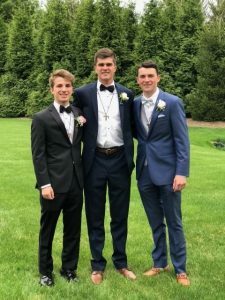 I encourage all of you to keep your own connections with St. Aloysius Academy and with the friends that you make here, as these are relationships that can last a lifetime.